Rahul K Gairola: Rahul K Gairola has been working in the field of postcolonial studies for over a decade, and has published two books on intersectional aspects of that field. He is also a founding member of the Digital Humanities Alliance of India (DHAI), and works in other aspects of the field at various sites. His interest in GO:DH is to contribute to global trends and stakes in democratic, digital knowledge production at postcolonial sites and/ or in locales where black and brown folks have urgent stakes in the ways that the digital milieu recalibrates identity politics and the historical materiality of people of colour. In the service of this purpose, he is working on a book titled Digital Homes: Identity and Agency in the South Asian Diaspora (Routledge), and is also co-editing the “Digital Humanities and South Asian Studies” special issue of South Asian Review with Dr Roopika Risam and the “Digital Spatiality” special issue of Asiascape: Digital Asia with Dr Martin Roth. He has attended a number of DH events, including DH schools at the ESUDH in Leipzig, DHSI in Victoria, and DHOxSS in Oxford. He sits on the Executive Committee of aaDH and is also on the Programming Committee of ADHO 2020, Ottawa. He hopes to deepen the intersectional directions of DH while working with GO:DH, and moreover aspires to further center dialogues on gender and sexuality in ongoing GO:DH initiatives. Marisol Fila: Marisol Fila is a PhD Candidate in Spanish and Portuguese in Romance Languages and Literatures at the University of Michigan. She received her BA in History from the University of Buenos Aires in Argentina. Marisol’s research interest include twentieth century black press and contemporary online publications by Afro descendants in Lisbon, São Paulo and Buenos Aires. More specifically, her work examines the mechanisms by which Afro descendant groups contest and negotiate the dominant ideologies of national belonging and the dialogues established across time, geographies, languages and medias. Marisol is also interested in Critical Pedagogy and Digital Humanities and in the ways in which technology and digital media can serve as a tool to share her research and work to a wider audience, but also to develop digital projects in partnership with Afro-descendant organizations across Portuguese and Spanish speaking countries. Brian Rosenblum: I am Digital Scholarship Librarian and Co-Director of the Institute for Digital Research in the Humanities (IDRH) at the University of Kansas (KU). As the co-director of a small but highly active DHcenter, I collaborate with students, faculty, librarians and technical staff from across the university on digital humanities projects, open access initiatives, and online scholarly journals. I have helped organize eight DH conferences and over 160 talks and workshops at KU since 2010, and have conducted numerous consultations and classroom sessions. Prior to joining KU Libraries, I worked at the Scholarly Publishing Office at the University of Michigan where I helped develop numerous electronic journals and digital scholarly projects. As a librarian who works with scholars across the entire university and beyond, I take broad and inclusive view of what we should consider to be digital humanities. I believe that our DH conversations, scholarship and impact are energized through inclusivity and community building, through enlarging our notions of what kinds of practices and disciplines we think of as digital humanities, and by strengthening connections between institutions and scholars in different geographic regions and types of economies. I would bring that same perspective to my service for GO::DH, where my priorities would be to continue to create opportunities for furthering this type of communication, collaboration and understanding. Barbara Bordalejo: I have been involved with GO :: DH since its beginning in 2012, working as part of the executive and in most of its initial projects. I have served various terms in different roles (as web-master, vice-chair, and secretary). Since the referendum in December 2017, GO :: DH has been dormant as some of our most active members turned their attention to other pressing issues. As some of you know, I have always favoured a continuous relationship with ADHO (Alliance of Digital Humanities Organizations, the international umbrella body for all DH organizations), as they recognized us from the beginning as a group which was worth listening to when we became their first special interest group. GO :: DH should continue exploring the possibility of becoming a CO (Constituent Organization) by investigating whether this would be beneficial for our group in the long term. GO :: DH has the potential to be a thriving community, but it needs (some) resources and organization.A few months ago, I presented a proposal for a GO :: DH publication series. This is one project I would like to focus on as it could provide a platform for a more detailed set of exchanges than those allowed in the list. My proposal is ready to go, but it requires the approval of the GO :: DH executive.In the next couple of years, I would like to work to facilitate the development of small projects following this group’s interest. 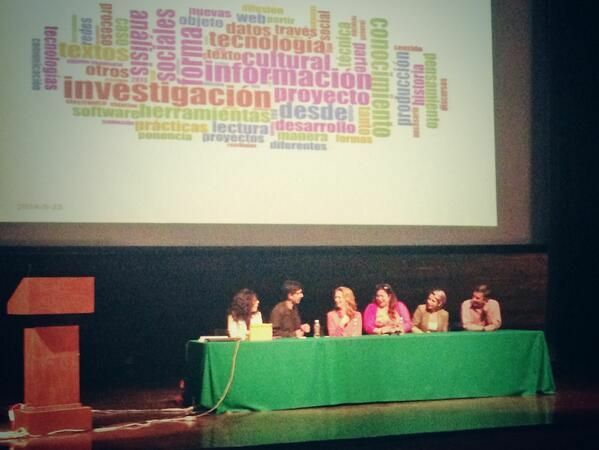 I have developed a good understanding of the structures of various DH organizations through my work with them. Having served in the ADHO steering committee I am particularly aware of the ongoing governance changes and how they might affect both old and new Constituent Organizations (which is what GO :: DH might consider becoming). My experience as the only Latinx in the ADHO steering committee has provided me with a unique perspective on its workings which would serve us well in developing strategies for the future of GO :: DH. This entry was posted in Announcements on January 6, 2019 by Gurpreet Singh. 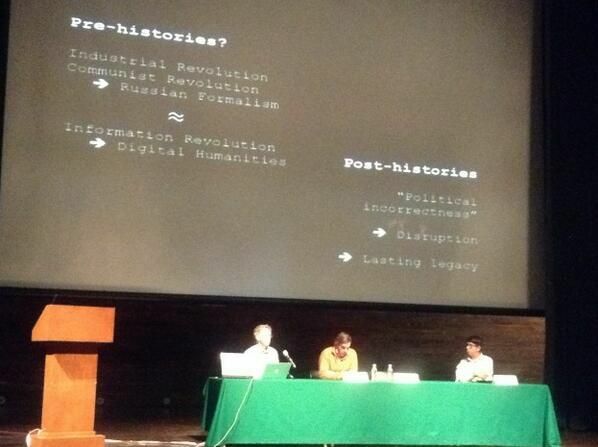 Global Outlook::Digital Humanities is holding its third Executive Committee elections. According to the approved bylaws that establish procedures by which GO::DH is governed, four out of eight of the seats on the executive committee are up for election this year. Each executive serves a two year (renewable) term. The election will be open for members to vote from April 2nd, 2016 to April 8th, 2016. We have following five nominations for this year's executive committee: 1. Elena Gonzalez-Blanco 2. Élika Ortega 3. Nuria Rodríguez Ortega 4. Thomas G. Padilla 5. Roopika Risam CANDIDATE STATEMENT 1. Elena Gonzalez-Blanco I’ve been working with GO::DH committee since it was been created, and it has been a fruitful experience, as it is a very diverse group which focuses on broader perspectives for DH. 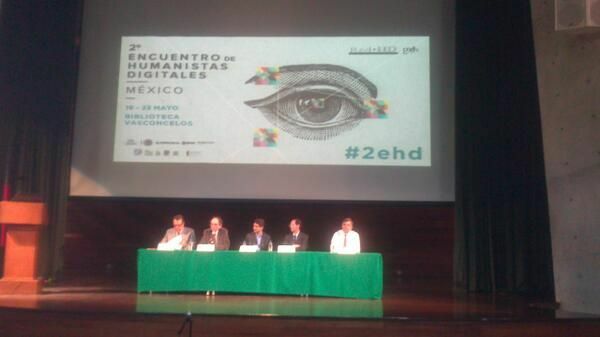 I would love to continue working for the group, to strengthen the impact of DH outside the English-speaking world –with a special focus, in my case, towards the Spanish community- and to discover new ways of scholarly communication, tool generation, project preservation and helping emerging communities interested in DH, which need to be trained and oriented. Elena is a very active member of the Digital Humanities community. She is member of the Executive Committee of EADH Executive Committee member GO::DH since 2013, Centernet Executive Committee, ADHO Conference Coordinating Committee, ADHO Awards Committee, and the President of the Spanish Association for Digital Humanities: HDH (Humanidades Digitales Hispánicas, Sociedad Internacional) and recently been appointed as secretary of the ADHO. 2. Élika Ortega I have been a member of GO::DH Executive Committee for two years. 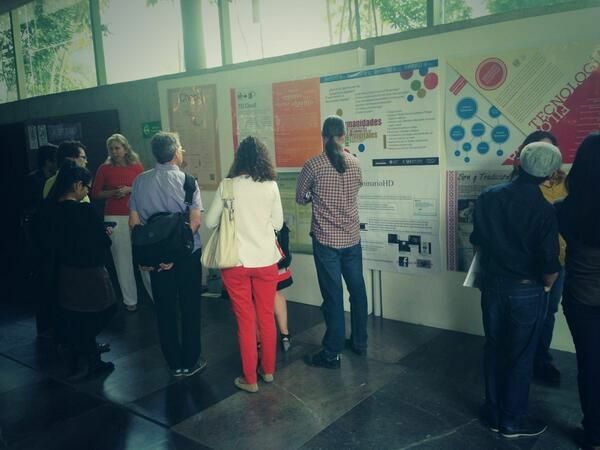 During that time I have coordinated initiatives related to multilingualism and community translation. Aside from the outcomes of experimental exercises like DH Whisperers, my work at GO::DH has inspired me to continue to fosters avenues of exchange among DH communities all over the world. The Translation Toolkit, developed in collaboration with other GO::DH members, aspires to be one such avenue. 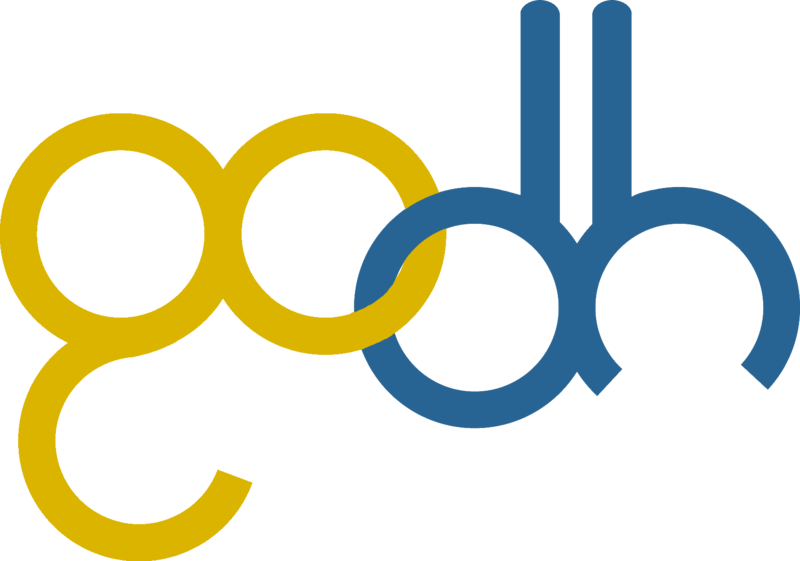 Up to now, GO::DH has been extremely succesful at highlighting the high quality DH work done around the world and putting into place cooperation practices with a handful of DH communities. This has made it imperative for DHers to engage with or, at least, recognized the field's diversity. However, much work is still needed to move from this recognition towards an ecology of knowledges in DH in which sustainable relationships and collaborations among diverse communities are not occasional or the work of only a few. I envision this kind of collaborations as something that can become the norm in the field if made part of DH training and pedagogy. If re-elected to the GO::DH Executive Committee, I will continue to work on the multilingual and translation initiatives I am passionate about, as I see them as a pathway to mutual communication among local DH communities. Furthermore, in the next two years, I hope to lay the ground for interinstitutional and transnational student training projects as a way to foster, in the new generations, long lasting exchanges among distinct DH cultures and practices. 3. Nuria Rodríguez Ortega http://www.uma.es/departamento-de-historia-del-arte/info/70968/nuria-rodriguez-ortega/ 4. Thomas G. Padilla http://www.thomaspadilla.org/ 5. Roopika Risam https://www.salemstate.edu/academics/schools/1188.php?id=6198 This election is being managed by Gurpreet Singh on behalf of Prof. Daniel O'Donnell, CHAIR, GO::DH. This entry was posted in About on April 1, 2016 by Gurpreet Singh.